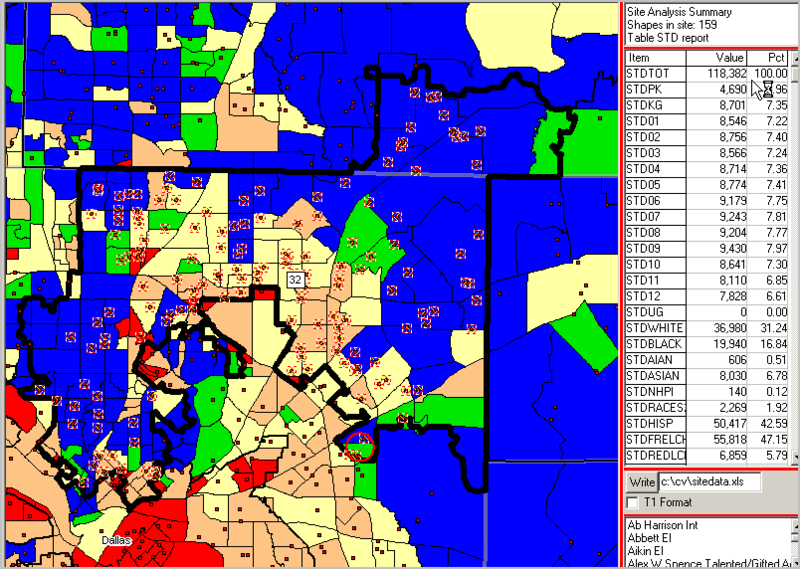 Using CVXE GIS to examine 113th Congressional District demographic patterns. View/analyze 113th CDs in context of wide ranging other geography. Zoom-in to specific CDs. The 113th Congress is in session January 2013 to January 2015. 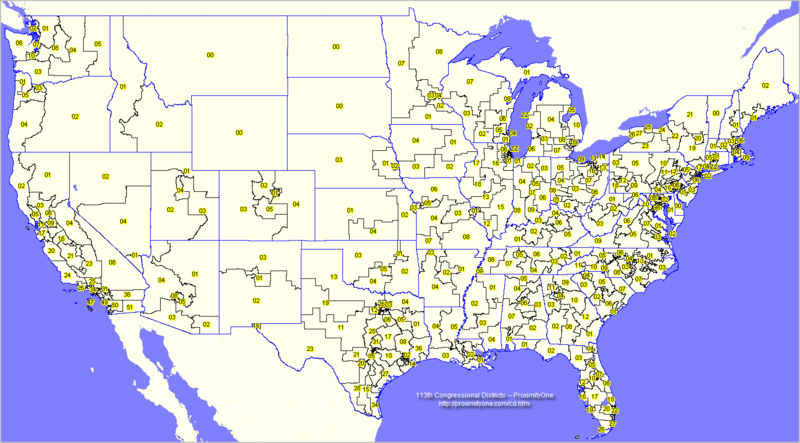 ... demographic profiles for congressional districts -- http://proximityone.com/cdprofiles.htm. This section includes several 113th CD illustration map views. - Interstate appears with white lines/dark blue edges. 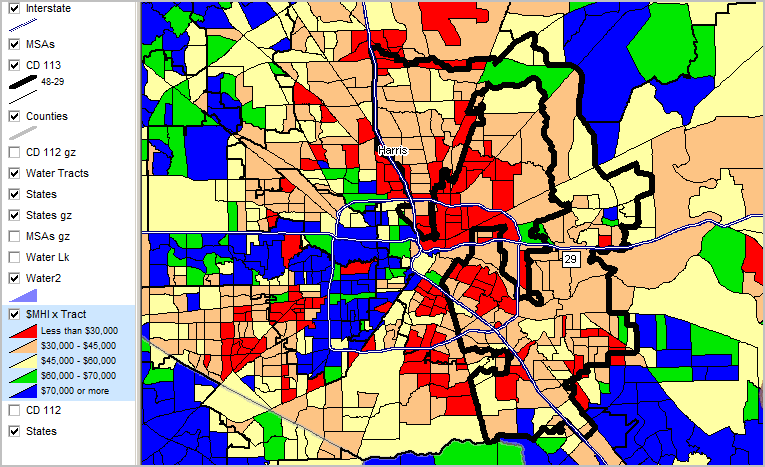 - See MHI $/interval color values in legend at left of map. - Interstate appears with white lines/dark blue edges. K-12 regular schools shown as red markers. 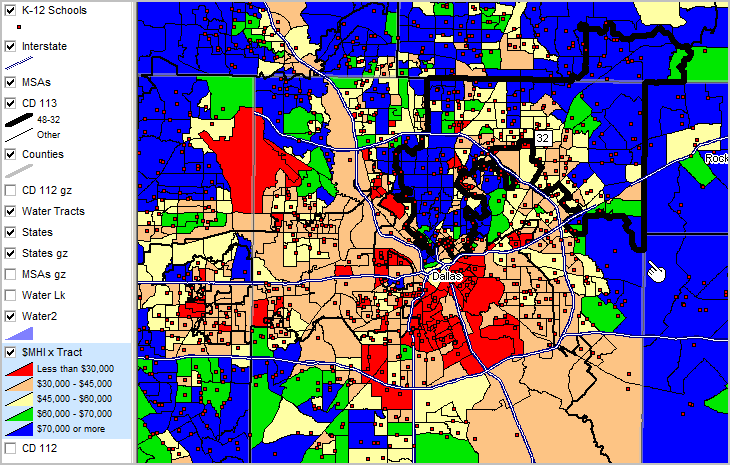 - See MHI $/interval color values in legend at left of map. 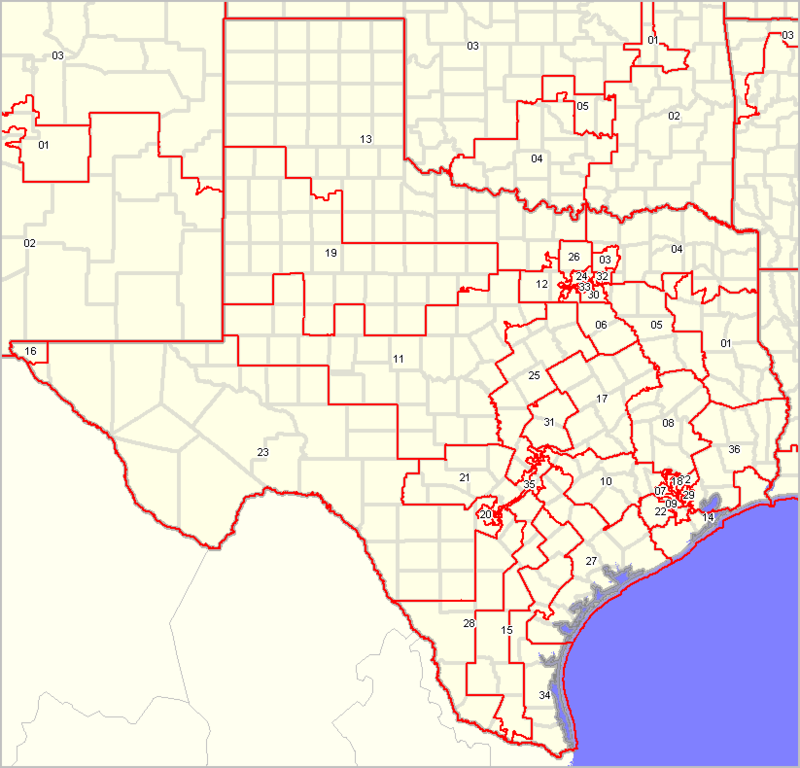 Pointer at Dallas County east boundary (bold gray). 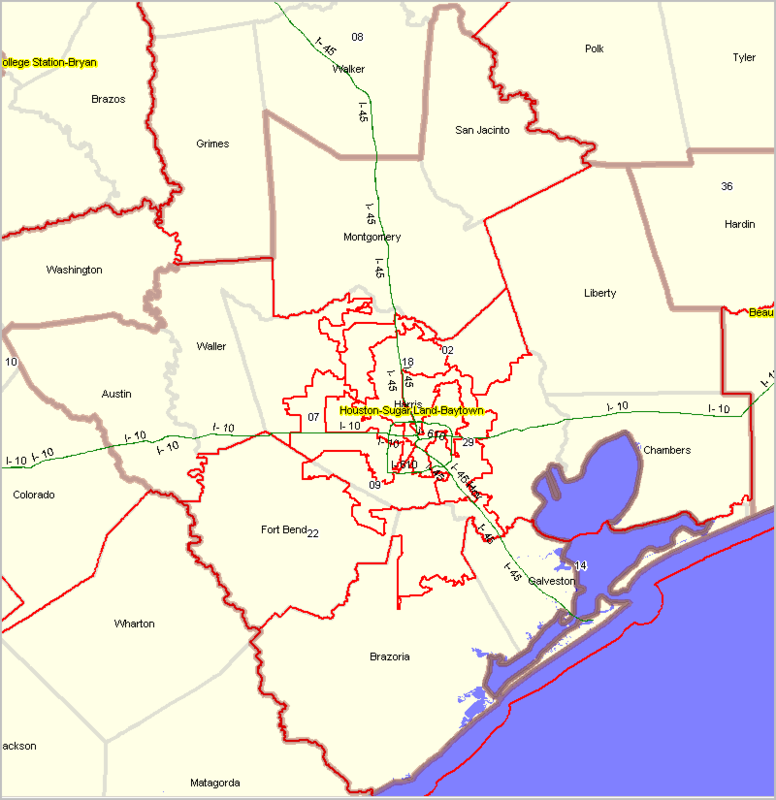 - View below uses CVXE GIS site analysis tool to select and present analytical summary of K-12 regular public schools in TX 32. - Shown in table at right, 159 cross-hatched schools are selected and have total enrollment of 118,382. - Enrollment by grade (STDXX) is presented in table with other attributes. - Schools are listed by name in lower right listbox. All selected schools are saved to a shapefile for easy recall. 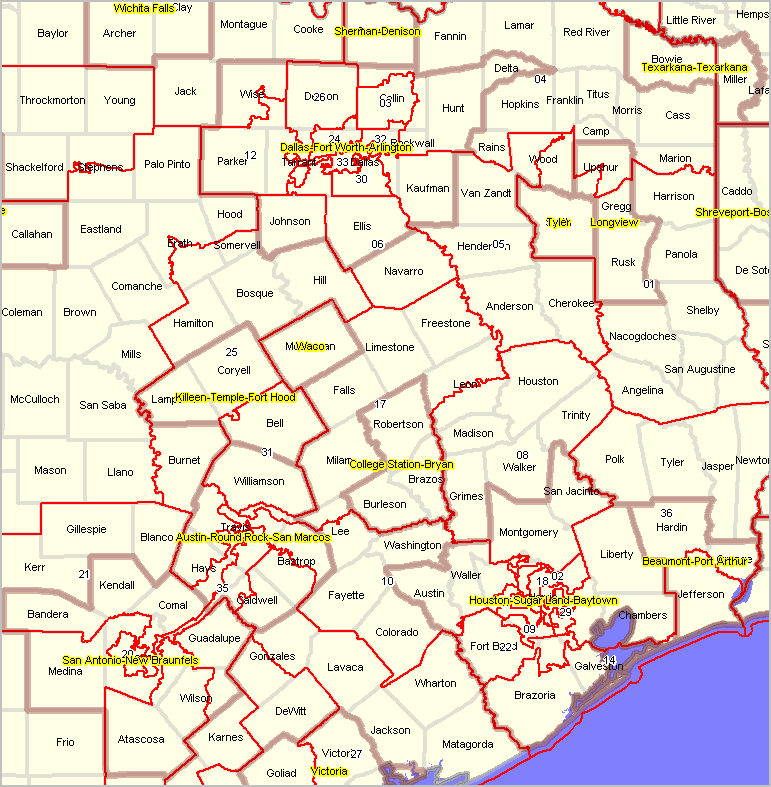 ... see 113th CD drill-down Texas maps below U.S. map.